I chose this song as the first song of the “Love Letter”, trying to act like a Christian. This is a song in the album I named “fireworks”, which was recorded in the autumn of 2005 as the last one album of our 10 independent works. Actually we started spelling our band name in Chinese Character (Kanji) just 1 or 2 years before. 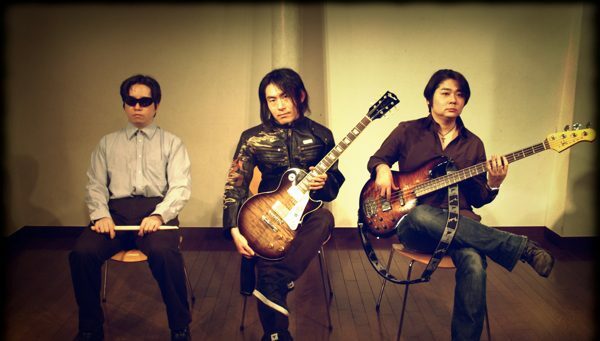 When we –Haratti, Hitchie, Woi-chan, and Me– started living together in Saitama prefecture and trying to start a band in 2003, and it was November 2003, I did some songwriting session myself and wrote 55 songs. This song “Sirase Kitaru” is one of them. During that period, I didn’t do any dayjob or partime job. Now this year June, I did my dayjob and wrote 50 songs in a month, so maybe my writing speed became faster, maybe. According to the memo, the lyric was written in January 2004. However, this song was not included in our setlist during “Golden Triangle Era” with Haratti and Minetti. So this song was recorded almost by myself in late 2005. Actually I myself had no idea what this song is talking about, even when I was writing the lyric, nor when I was recording the song. However, the title “Sirase Kitaru”, and “Sirase” means a “news”, in this case, a good news. So in English, it means like “Here comes the good news”. The content of the lyric is, mostly about the promise made a long time ago becomes true with the good news. A bit like the prophecy of Izaya. And the whole song expresses the joy of salvation, the joy of seeing messaiah. And the last part of the lyric, it says “YOU are going to change” which I did’t understand what it means at the time I wrote the song, now I know it’s about being born again by faith. At least that’s my understanding. My musical background / influences are, American Hard Rock, Classic British Rock, 90s Brit Pop, 90s Alternative, Japanese Classic Rock, and so on, but I guess this song is a good mix of them. Well, this album “fireworks”, CD disk is not available currently. However, digital download is available on…. For those outside Japan, soundclick. You can buy/download on those website. I’m still wondering if I should put this album on iTunes Music Store or not. And here is the lyric. The miracle I become as one with the world.